Seller Financing Available! Lewistown Montana Land for Sale! Here are 21 of a total of 26 development country home lots in rural Central MT. 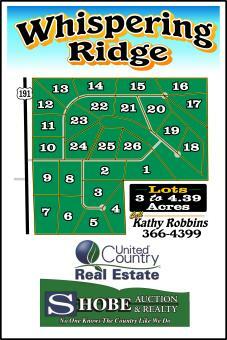 Whispering Ridge Subdivision in Fergus County, MT! Located just 4 miles north of Lewistown, these vacant rural building lots are convenient to all the amenities of town with a wonderful country lifestyle. These Montana lots range from 3.002 to 3.930 acres with pricing starting at $46,500. Common areas for walking, bird watching and wildlife viewing. Services include underground power and telephone on site and natural gas available in the subdivision. 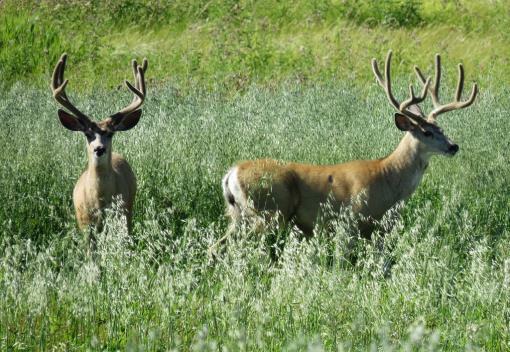 Central Montana mountain views, agricultural views and very close to numerous recreational opportunities. Developed and undeveloped common areas for wildlife viewing and hiking. Beautiful shelter belts are established providing ample wildlife habitat. Mule/Whitetail Dee, upland birds, and waterfowl have been known to frequent the property. Contractors are welcome...here is a great investment opportunity to build some much needed country home in Central Montana. The land has been developed now it is time to build ....nice location for luxury country home, rural residential homes, retirement homes and vacation homes. Lewistown, Montana in Fergus county is located in the center of the Big Sky state and is served by State Highway 200 plus U.S. highways 87 and 191. Billings, Montana is 125 miles south of Lewistown and Great Falls, MT is 108 miles west of Lewistown, both with commercial airports. Known for its remarkable rural and recreational opportunities, Lewistown, Montana is in the heart of Central Montana hiking, fishing, camping, hunting and wildlife viewing. Bring your family and invest in Lewistown, Montana.